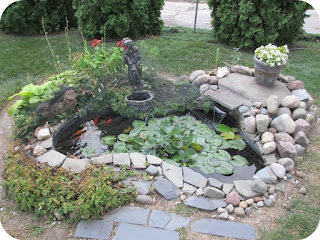 My brother-in-law, Lorenzo, has been raising Koi in his backyard pond in Detroit for years. He and his wife have a beautiful home, and their backyard is a relaxing green space with a Koi fish pond adding to the tranquility. Have you ever tried to raise Koi, or do you have a pond in your backyard? Leave a comment and let me know! Cool video. I keep koi in the large pond I have in my back yard. They are awesome. I also build koi ponds for people, so I am a little obsessed with koi ponds and water gardens. My website is www.loveyourpond.com I hope you will check it out! Hi Mike, glad you liked the video. I checked out your website and it's great! Lots of good information on ponds and fish.